The advantage of successfully bidding at car auctions is that you’ll get a car at what’s known as trade price. On a three-year-old Ford Focus, used car valuation expert Glass’s Guide claims trade price to be £2350 (28 per cent) less than the £8230 the dealer would sell the car for. For a dealer, that’s not all profit as they have to account for the time and money it takes to prepare the car and display it in a showroom or forecourt, as well as market the car to potential buyers. But for non-trade buyers it can be a significant saving. We tracked down Mark Davis, a private buyer from Hampshire who’s bought around 10 cars from auction. Here are his tips. If you’ve never been to an auction before you’ll notice that the floor can be a bit of a bear pit. It’s also astonishing how quickly things happen and it’s very easy to get carried away. “You need to keep a cool head or you can be swept up in the moment and within seconds – and I mean seconds – you’ll be bidding beyond your budget. 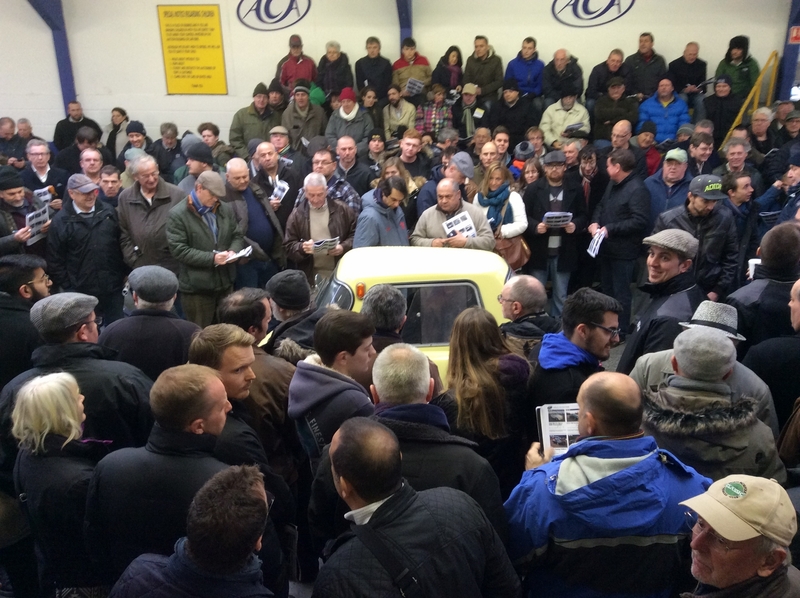 It’s the auctioneers’ job to get money out of people and they’re brilliant at it,” says our expert. Car auctions: Who’s owned your target vehicles? Very broadly speaking, auctions are made up of two types of car: those that have been privately owned and sold to garages as part exchanges, and those that have been owned by leasing firms such as Leaseplan or Lex and run by people as company cars. Former lease cars are the safe bet for beginners. They will almost certainly have been serviced correctly and be clean and tidy, therefore representing a much lower risk than part exchange cars. The downside is that some lease cars are put into auction on the dot of three or four years old and require a new MOT. Equally, lease companies don’t always approve services in the final months of an agreement. “If you have to spend on all this once you’ve bought the car, any saving you may have made by going the auction route will probably disappear,” our expert explained. This is some really great advice for anyone planning on going to a car auction in the near future. I had never thought about a lot of these points before, specifically things like who has previously owned the car. But it’s important to know, because that will have a big impact on how the car was used. Thanks so much for writing!